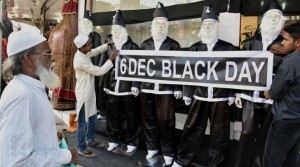 Muslims in the twin town of Ayodhya-Faizabad observed black Sunday today. Incidentally, the mosque was razed on a Sunday on December 6, 1992. 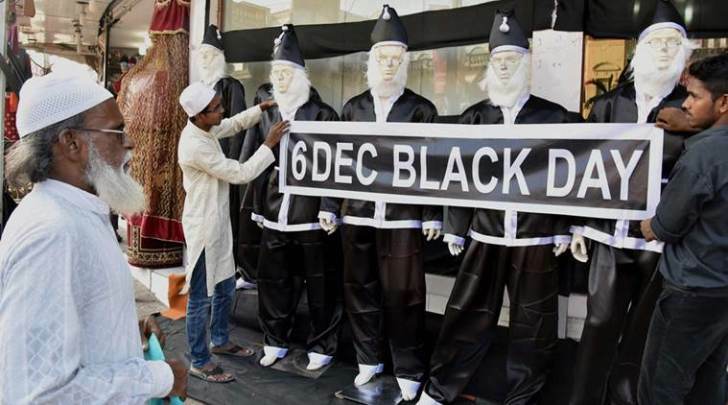 Muslim groups observed ‘day of sorrow’ while Hindu outfits celebrated ‘shaurya divas’ on the 23rd anniversary of Babri mosque demolition today, which passed off peacefully amid tight security in Ayodhya, as well as in other parts of the country.